Every school year we start out really organized and neat with our homework…..slowly but surly we get lax and eventually we get to the point of crumbled homework or better yet, forgotten assignments and lot’s of tears. This year, I am committed to make a change. We are going to get organized and stay organized. Of course, to do this, I consult my most favorite resource, Pinterest. 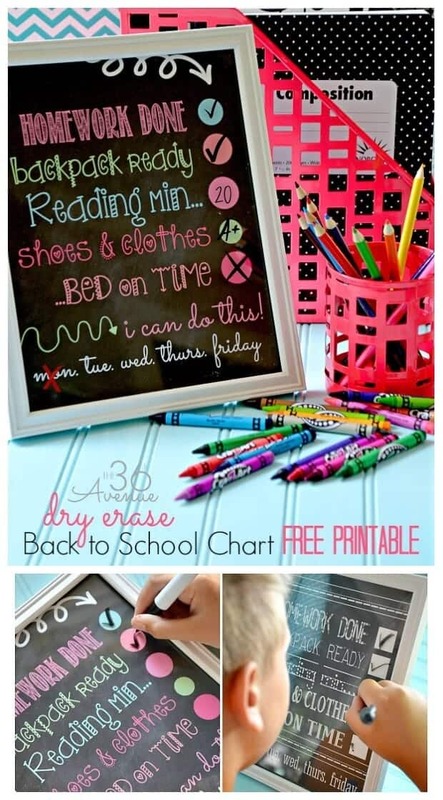 There are incredible homework organization ideas and I am going to share some of my very favorite! First we start off with a drop zone for the backpacks – I adore this one found on The Organized Housewife. The backpacks all over the mudroom are the bane of my existence! This is top of my list for this school year! Then we move to an area specifically meant for homework. No TV’s, no distractions… a quiet nook to focus and get the work complete. 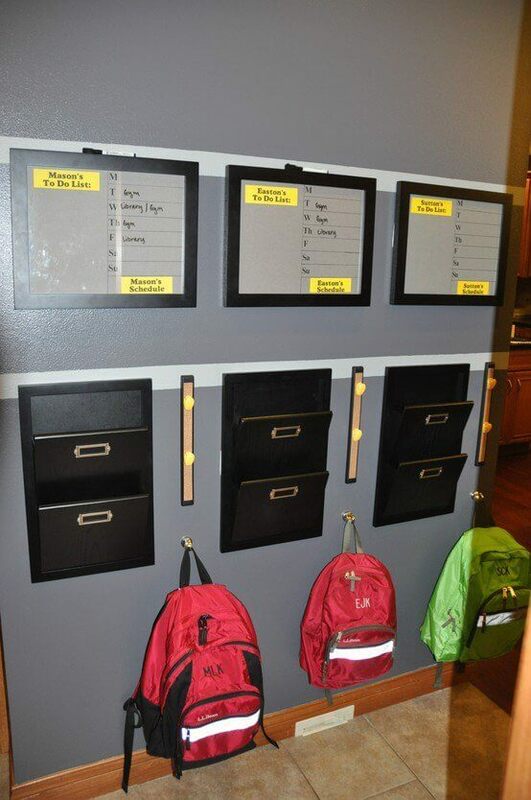 Check out this great Kids Homework Station from Clean and Scentsible. 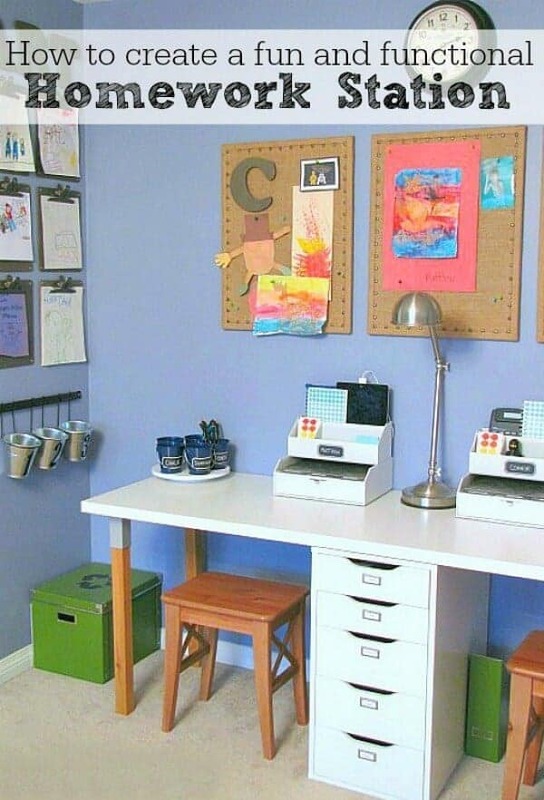 If you don’t have a ton of space to dedicate to a homework station, this compact design from The 36th Avenue has all of the necessities, but takes no more than a space on a wall and a magnetic board! I love that everything has its place and leaves no excuses for a messy desk! This Personal Planner Notebook from 7th House on the Left would make a great on-the-go homework station. 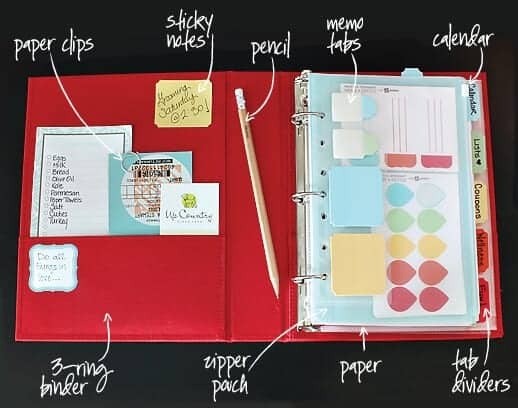 It is great to take it to the library, coffee shop, study session and has all of your homework essentials packed into this tidy little binder! I am in love with this Homework Caddy from Aunt Peaches! It is a super easy DIY that I can even make! This Homework Checklist from the 36th Avenue is a great addition to hang up or place in your homework area. It spells everything out that needs to be done each day! The next morning, just wipe it off and start again! 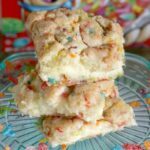 It will help your kids get in the habit of making lists and checking things off! 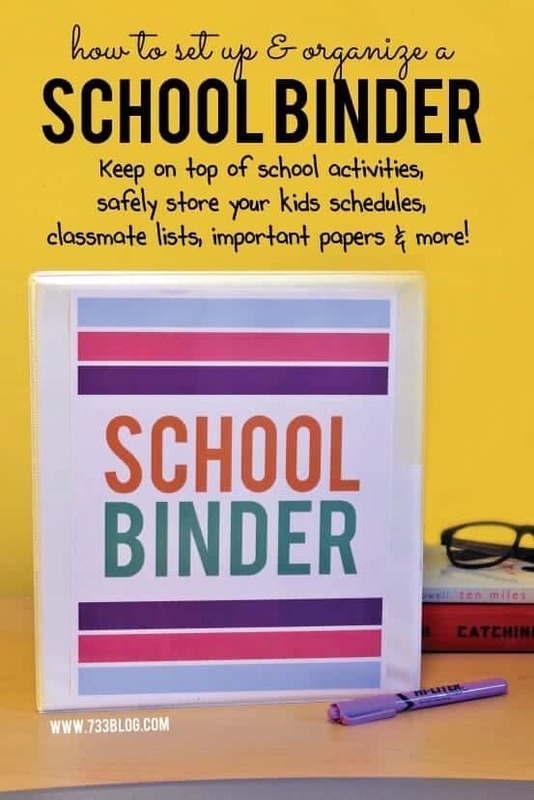 This last organization tip is more for the parents than the students – I love this School Binder from 733 Blog . It keeps track of the class list, important communications from the teacher, school information, calendars and much, much more! No more sifting through piles of information, it is all nice and organized! Check out these great School Cheat Sheets to have on hand just in case your child (or you) needs a little help or reminder! I would love to hear some of your great school homework organization tips and tricks! Bring them on!!! 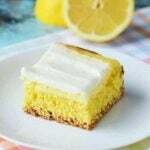 Jennifer, just want to thank you for a fun, terrific blog that I’ve been following for months now on Pinterest. You’re an inspiration to me for my first steps of a blog journey. Keep up the great work! Thanks so much, Amy, for the kind words – I truly appreciate and love the feedback!! !